I have received so many queries on how eyes can be made to look bigger and brighter. I hope that this post will answer all your questions and doubts. Please feel free to ask me anything in the ‘comments’ below. 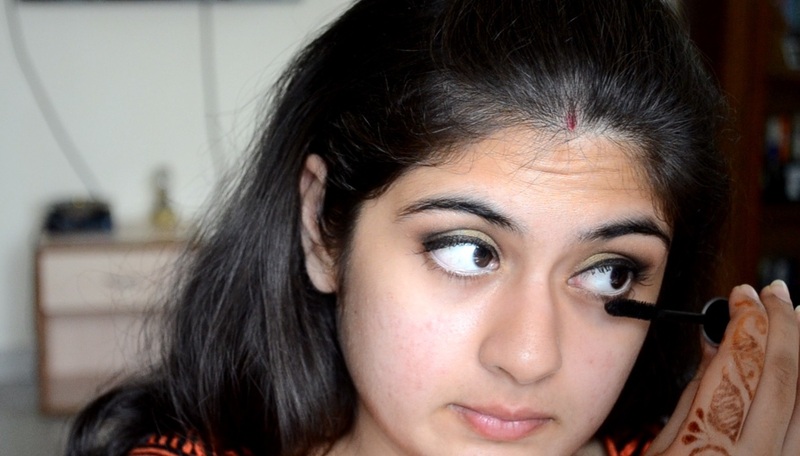 The main idea of applying mascara is to pull the eye up, not down. So I would curl them up and sweep a coat or two of my favorite mascara vertically. 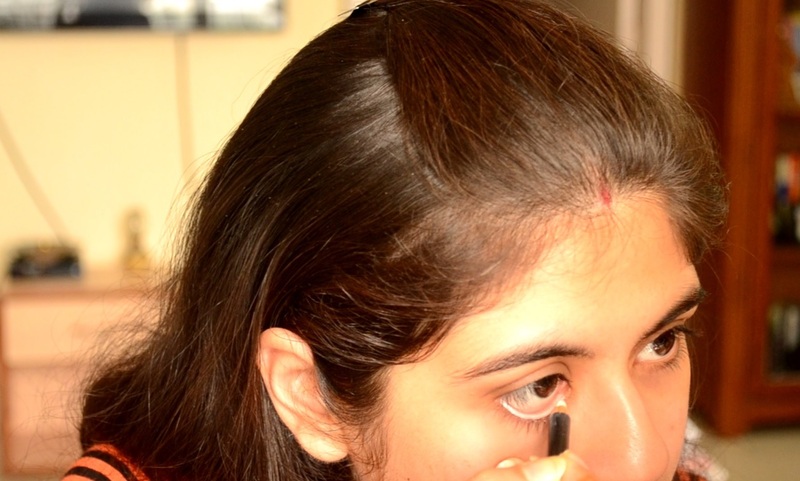 To get the longest-looking lashes, I would start by taking the tip of the mascara wand and apply product directly to the ends of my lashes in an upward direction. For thickness, I would wait a few seconds, and continue to apply mascara to the base of the lashes using quick right-to-left strokes. 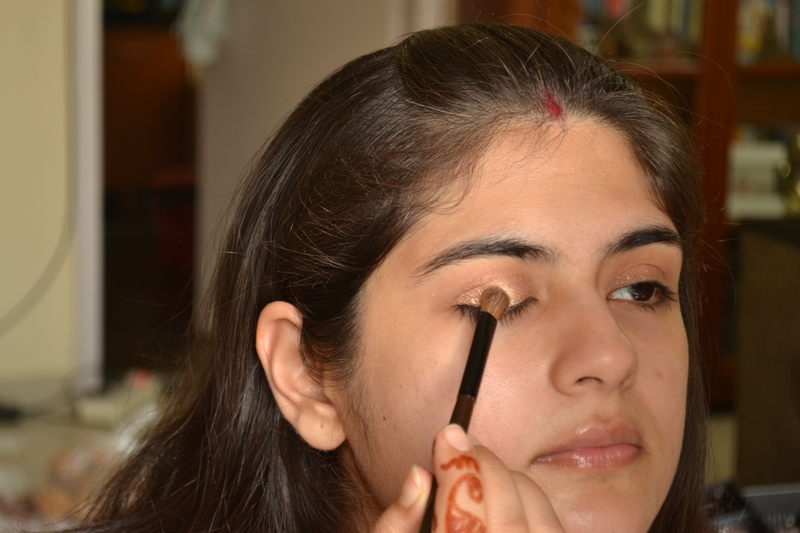 This way I am coating the lashes from the roots till the tips by wiggling the brush around, and then pulling it up. Have you noticed that two different eye shadow shades from the same color family creates instant dimension on your lids? I would use a lighter color on the higher points of the eyes like the center of your lid or all over the eye lid or even in the inner corners and blend the darker color just at the outer corner. This is just like contouring and highlighting for your eyes! To appear more doe-eyed, I would focus the color at the middle of my lashes. A thicker line right in the middle of the eye followed by fading out into thinner lines is a great way to make the eye look bigger. My most favorite color for liner is blue! Experiment with it! 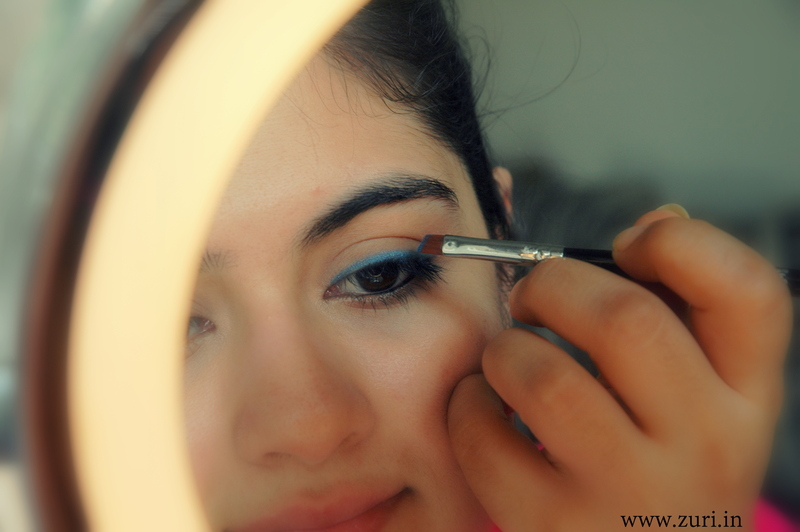 Using blue eyeliners or eye shadows close to white of my eye makes it appear much brighter and has less of a chance of shrinking the eyes than with black eyeliners. To create a lifting effect for my droopy lids, I double up on mascara coats along my top lashes. I like to use wands with angled bristles so I can catch every hair in and run the brush through in every corner. 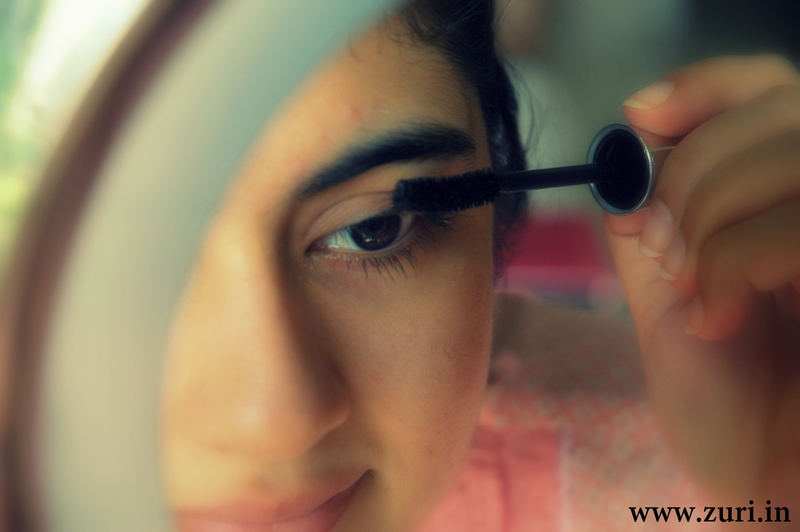 I also like applying mascara on the lower lashes so that the eyes look more ‘awake’. To curl my lashes, I begin at the roots and gently pulse the curler open and shut five times. Then, I move the curler half way up the length of my lashes and repeat. This ensures a natural curl, instead of a weird crimp. I have seen some women with flat eyelashes that take a lot of effort and time to curl. 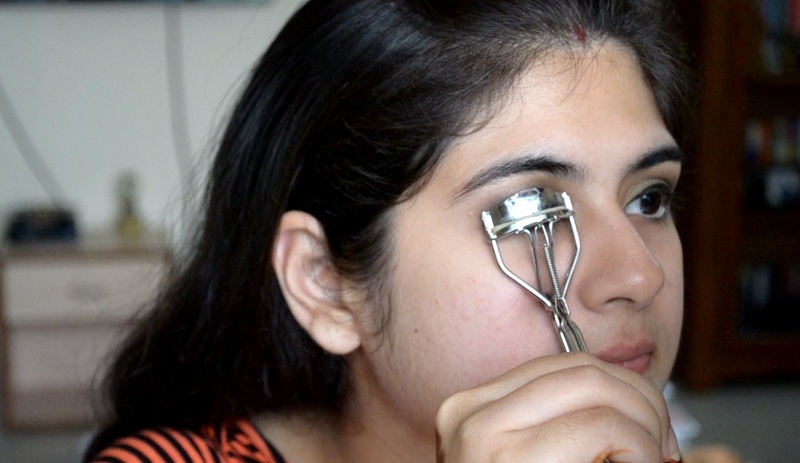 I’d suggest investing in a quality eyelash curler or else use some hot air from a hair dryer on the curler before curling the lashes. Just be careful not to heat it up too much or else you might hurt your eye. The extra padding from the curler will make it harder for you to accidentally break any hair follicles. 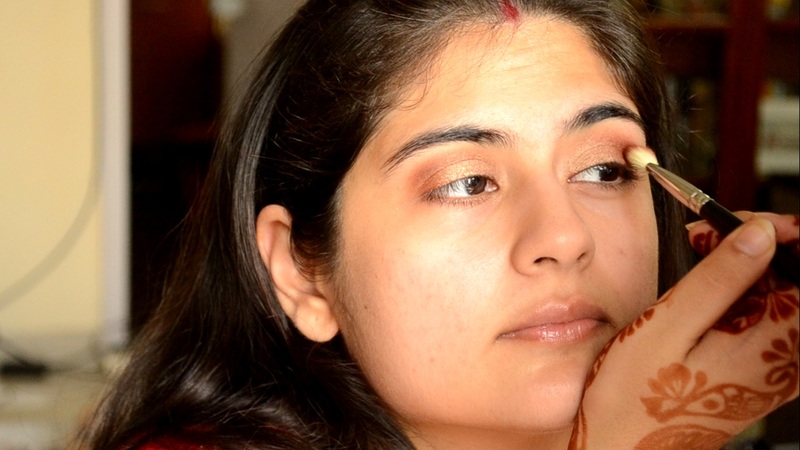 For eyes to look more open, I wear shades like white, beige and peach as kajal and give a skip to black. As a liner I’d still use colors like black, brown or blue and haze it out with a Q-tip towards the crease to emphasize the hood of the eye. In case if you wear glasses, using light colors on the lids to draw attention to the shape of your eyes would be a great choice. 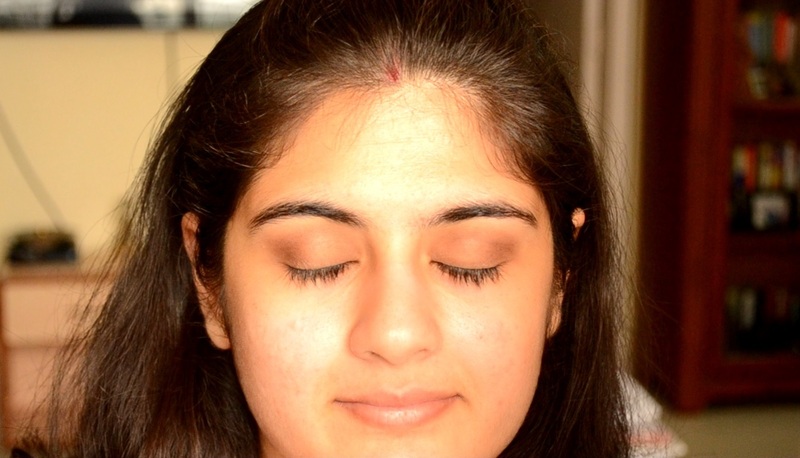 Using light and shimmery colors on the lid will really give you a brighter look! For my small droopy hooded eyes, a black smokey eye makes my eyes disappear. Instead when I apply shades like orange, blue, green or pink on the entire lid and add some black only in the outer corners and blend, the eyes suddenly look full of life! Experiment with different shades to see which one helps in making the eyes look larger. The easiest trick in the book is using an illuminating highlighter to open up the eye area. Using reflective pigments along the inner corner of the eyes and the contour of the brow bones is going to highlight the eyes even further. 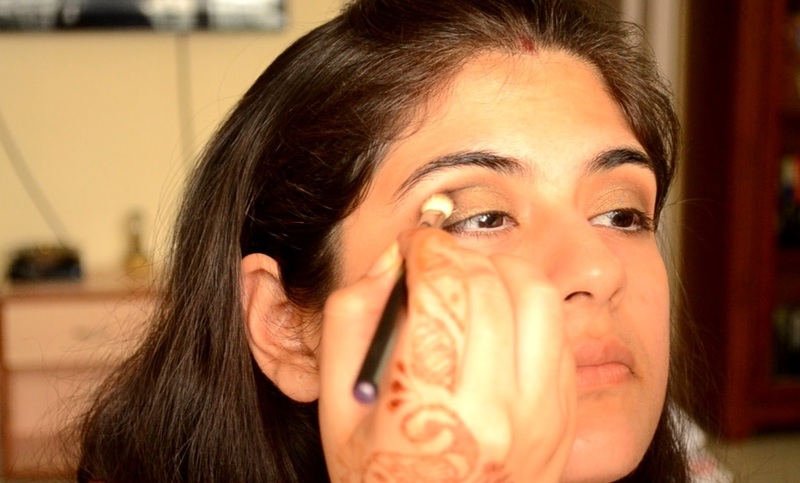 After applying the eye shadow, I love applying the shimmer pigments onto the center of the lid, i.e. on the eye ball. The light bounces off the eye and looks super sparkly! After I’ve applied my light shimmery shadow all over the lid, I add a darker shade in the outer corner as a contour shade and take it up until the crease by extending my brush strokes up towards the contour of the brow bone to illuminate the curve just a wee bit more. False lashes are life savers! Your brows can easily make or break your look! 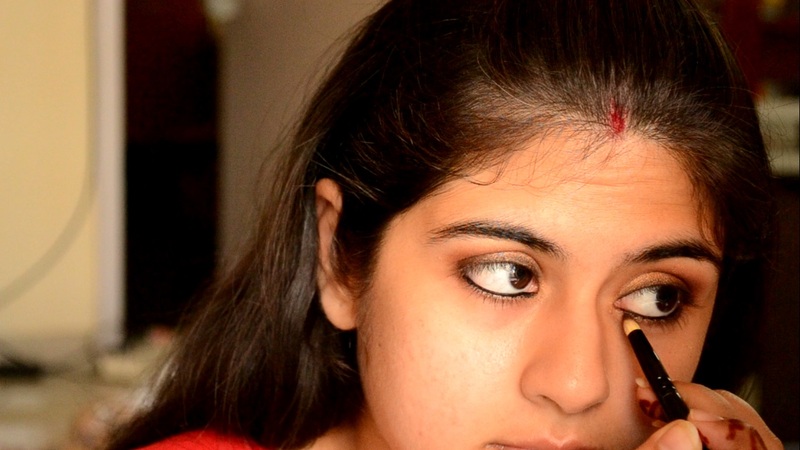 Even if you have a nice, natural arch, a few stray hairs can pull the eyes downward. 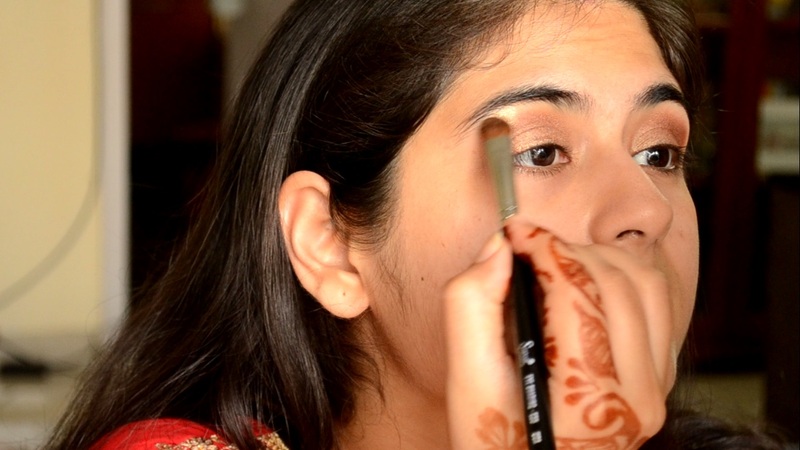 Keeping a clean shape will also make your eyelids look bigger by giving it much more space. I suggest getting your eyebrows done by a professional first and then doing it at home by yourself. 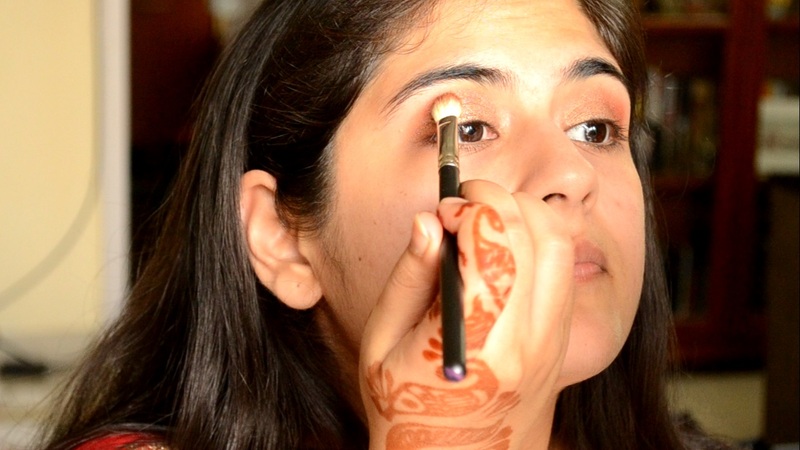 The best way to look wide-eyed without makeup is to keep the brows thick and full. By using a dark brown pencil or an eye shadow with an angled brush, the arch and areas that seem empty can be filled beautifully. Another trick to give the impression of bigger eyes is to sweep warm-colored eye shadow shades along the lower lashes. Using a colour that is a few shades darker than your skin tone is perfect. It will naturally make your eyes look wider. 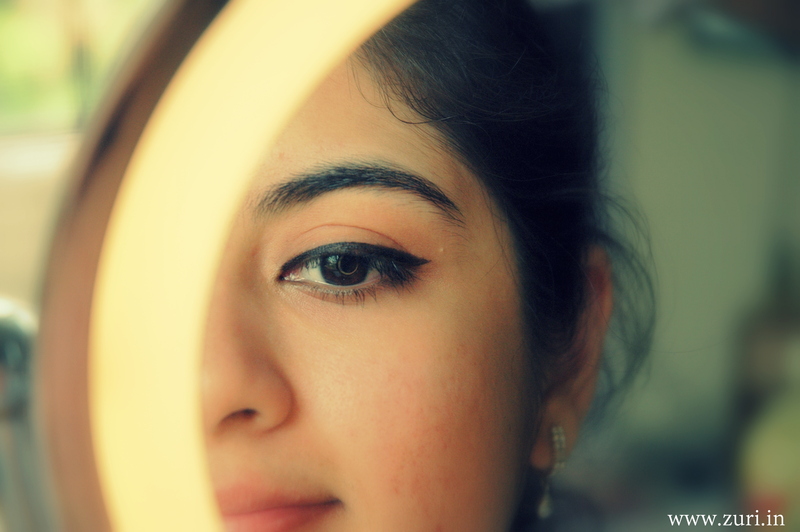 Sometimes when I’m in a rush to go somewhere, I quickly pick a dark brown matte shadow and blend it on the outer corner of the eyes and take it up to the crease. 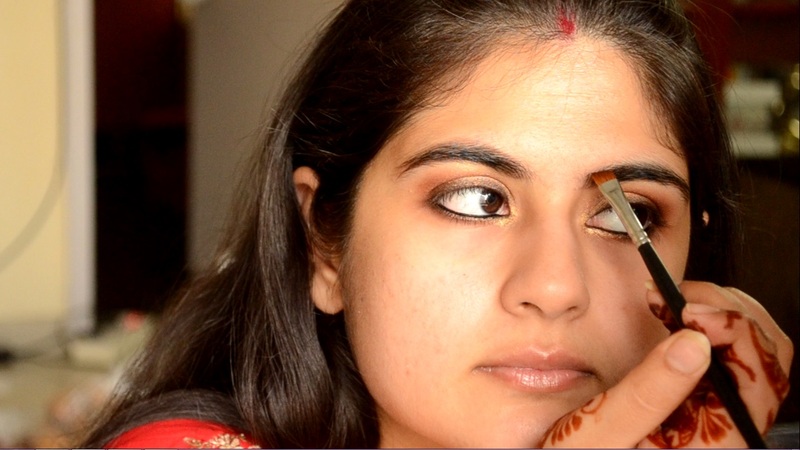 This trick creates the look of having larger eyes without using a lot of makeup! You don’t have to buy a separate shade to do this – the same color you would use to contour your face, would also work on the eyes! This clicks well in photographs and takes not more than 2 minutes to do! 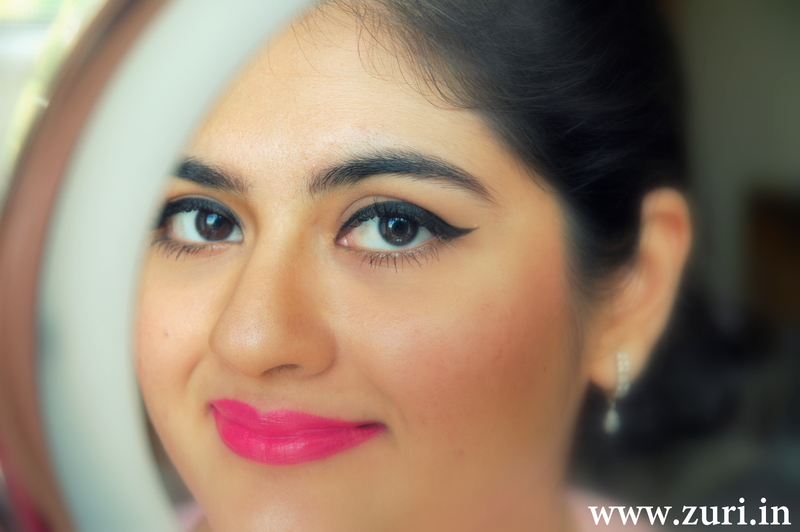 Big, bold, and bright lips can direct all the attention from the eyes! 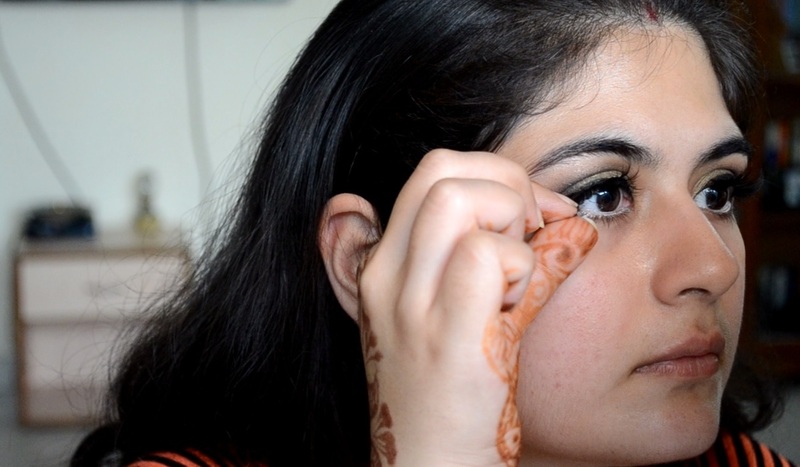 This can sometimes be a little tricky, in case if the under eyes are not concealed very well. Wear the bright color with two layers of mascara and you are good to go. Practice makes perfect! Will be doing a post on wearing faux lashes too!